It's all red state medical marijuana news this week, reflecting the slow spread of acceptance to even the most conservative corners of the country. Last Wednesday, a batch of medical marijuana "fix" bills were moving. Six medical marijuana-related bills moved out of committees to face floor votes in their respective chambers. The House Rules Committee advanced five bills, while the Senate Education Committee advanced one bill. More bills are still in committee. Many of the bills deal with technical "fixes," but some of them would alter the way the program is intended to work. Click on the link for a complete rundown on the bills. On Monday, two of the bills passed the House. The House voted to approve two bills authored by Rep. Doug House (R-North Little Rock). They are House Bill 1371, which requires that Arkansans hold 60% ownership interest in pot businesses in the state, and House Bill 1298, which requires that persons, not corporations, hold the licenses. The bills now head to the Senate. 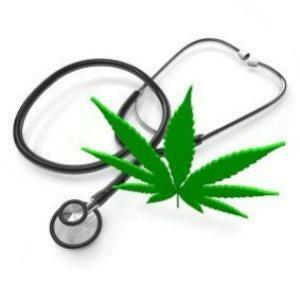 Last Wednesday, a medical marijuana bill was filed. State Sen. David Haley (D-Kansas City) has filed Senate Bill 155, which would allow patients with specified diseases or conditions to grow and possess medical marijuana, or have a caregiver grow it for them. The bill also envisions the creation of state regulated and taxed "compassion centers" or dispensaries. Last Friday, a medical marijuana bill was filed. State Rep. Eric Proctor (D-Tulsa) has filed a medical marijuana measure, House Bill 1877. The bill would allow the use of medical marijuana for a list of specified illnesses and conditions and is modeled on the successful medical marijuana initiative passed next door in Arkansas in November. On Tuesday, a CBD bill advanced. The Senate Judiciary Committee voted to approve Senate Bill 95, which would reschedule CBD as a Class 4 drug in the state and remove it from the definition of marijuana under state law. The bill would legalize the possession and use of CBD, but only upon approval by the FDA. That requirement was added in committee.